Want to make the men in your life happy this holiday season? 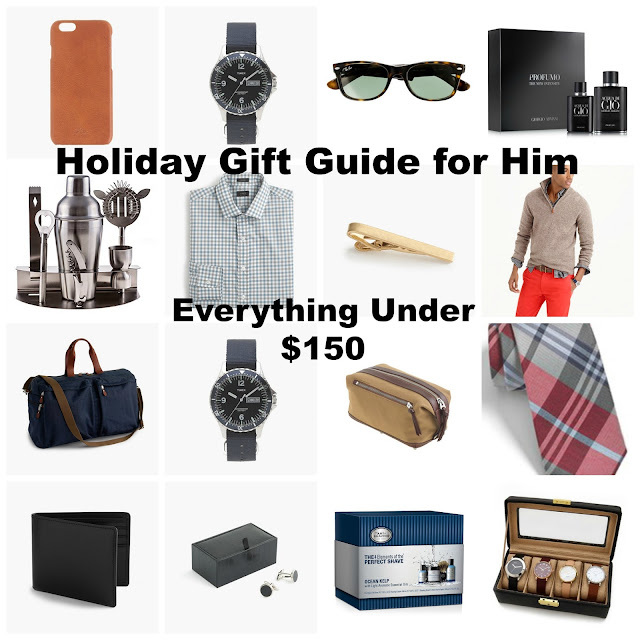 Just follow my foolproof holiday gift guide, and you're bound to make a lasting impression. With nothing over $150, there's something to fit everyone's budget. So stop stressing, and don't break the bank, just scroll through my 16 favorite items below. If you like one of the items and want to purchase it, you can do that easily by clicking on the image, and you'll be redirected to the site I found it on. Some of my favorite stores to shop for 'Him' during the holidays are, J.Crew, Nordstrom, Saks Fifth Avenue, and Amazon. If you're stumped and still having trouble finding the perfect gift for the man in your life, let me know, I am happy to help!